I deleted my Google+ profile just moments ago. No big deal. I rarely used it; not as much as I did a few years ago. I was very much into Google+ because it had a vibrant photography community. I haven’t used it at all in the last few months except as a dumping ground for links from my website. 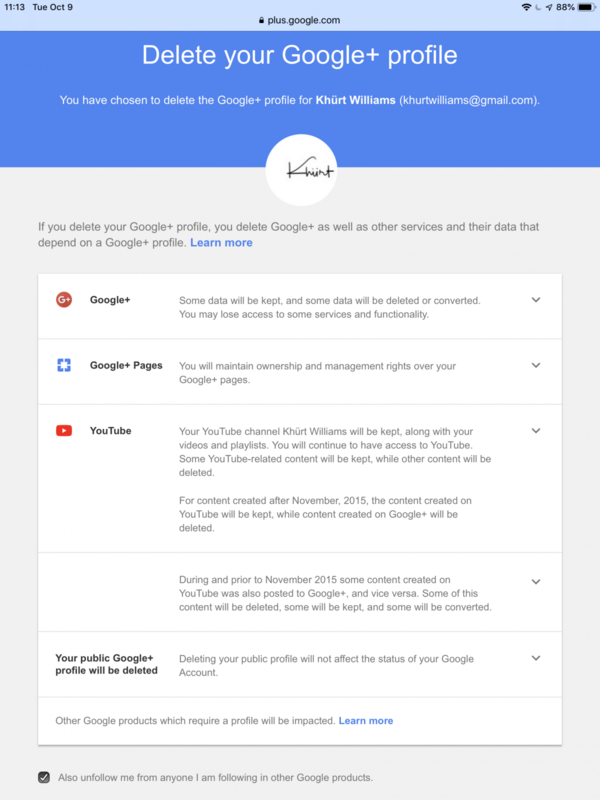 I had intended to delete the account but it seems Google+ is shutting down anyway amidst a disclosure that they delayed announcement of a breach of privacy. Do it! You’re missing nothing.